We decided when we had kids that we wanted them to grow up to value people and experiences over things. 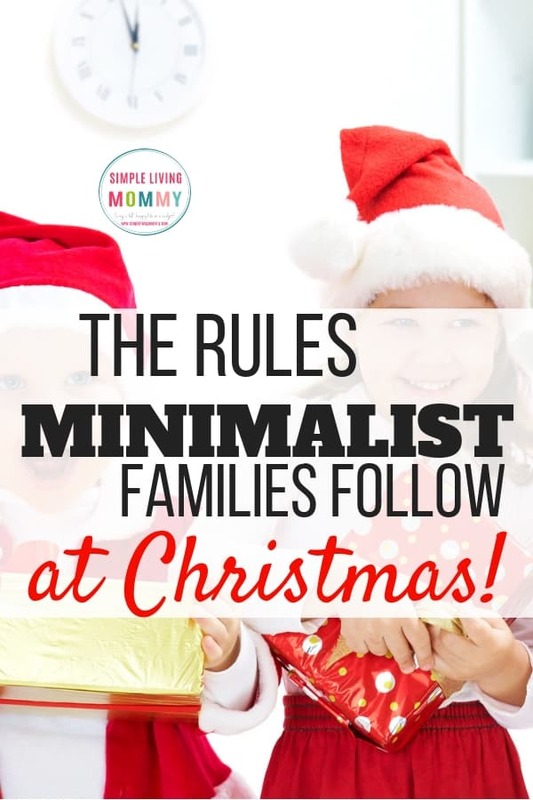 While we are far from being minimalist, extremely simple and frugal living is a huge goal for our family. This time of year, those values are incredibly hard to stick to with all of the marketing targeted toward kids. Still, we’re determined to strive for an almost minimalist Christmas with kids. 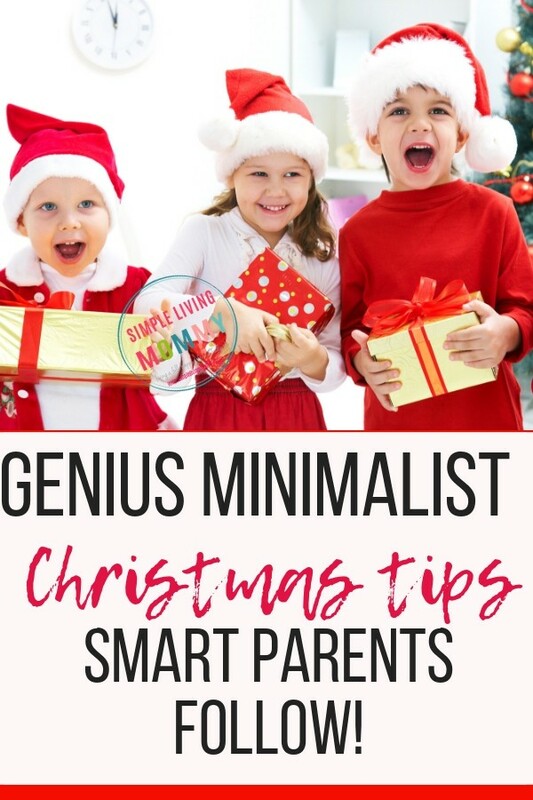 Even though we’re so determined to have a very simple Christmas, I still want my kids to get excited about Santa and getting gifts on Christmas morning. This year, we’re being more intentional than ever with the gifts we’re giving. The fact is, no matter how determined we are to be a version of minimalist, kids require things. Our goal this year is to only get them things that they already need anyway or that we really think will help them learn. I’ve said it a million times, I think magnet tiles are a toy every single child should have. 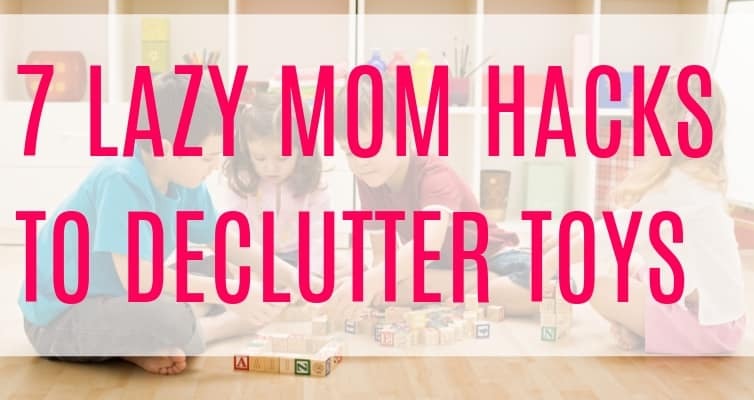 I don’t want our kids to have tons of toys and the idea of bringing a toy like Magnatiles into the house with all of those pieces causes my husband anxiety. If there is one thing I could convince you to buy for your toddler, it’s these awesome knock off magnatiles. They’ve withstood both of my toddler sons playing with them for hours on end. They still look brand new and work like the day we got them. Give your children things they were going to need anyway. 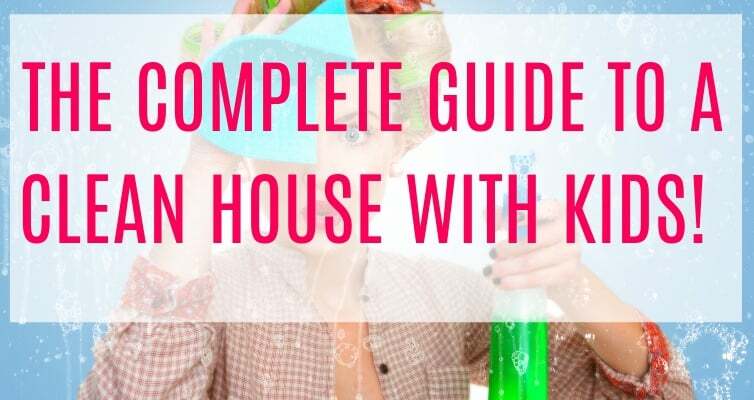 We’re a homeschooling family, so arts and crafts and simple workbooks or sticker books are a must-have on our list. We go through Color Wonder products so quickly and always need more throughout the year. Now we stock up during awesome Christmas deals and try to make them last! Another awesome rule to follow when shopping for your kids is something to wear, something to read, something fun, something you need. Minimalist gift giving doesn’t mean you’re stuck giving someone just well wishes for Christmas. 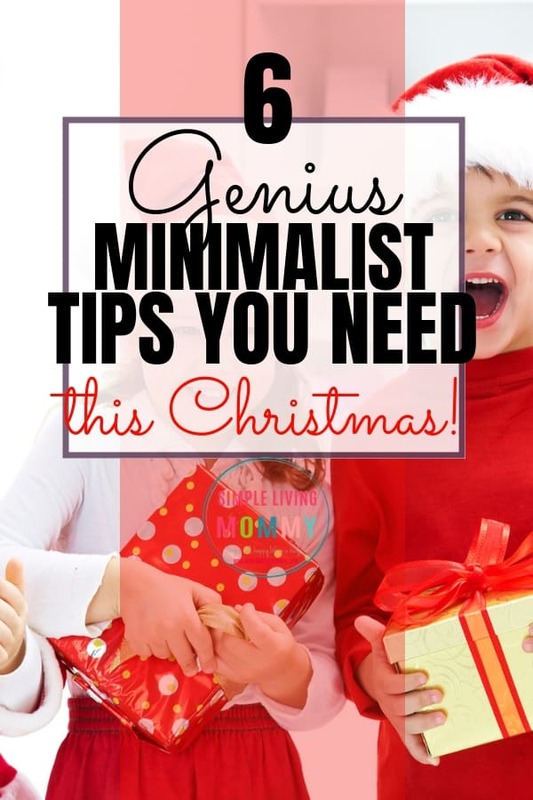 There are TONS of minimalist Christmas gifts that anyone would absolutely love to receive instead of a huge gift. One of the best things you can give a minimalist for Christmas is something that leaves no clutter whatsoever. For us, this is memberships to zoos and science centers around the country. We currently have an AZA membership from our local aquarium. We paid around $80 for it and have used it at least 6 times in the last year. In fact, just today we used it to take a quick trip to the zoo because we were going to be driving past it anyway on our way home from a trip. We adore our membership to our favorite plantation in Charleston, SC too. The best traditions are the ones you take only memories away from. We decided long ago to fill our kids’ childhoods with traditions and memories they’d love to pass on to their own kids one day. One of our favorite minimalist Christmas traditions is to take a cheap trip to Charleston each year to see the Christmas lights at James Island County Park. Cities around the world have massive Christmas light displays that will put the entire family in the Christmas spirit. Movie nights this time of year are the absolute best! We have been watching Elf on repeat for weeks now. Our boys ask to make popcorn or hot chocolate and watch it almost every day. 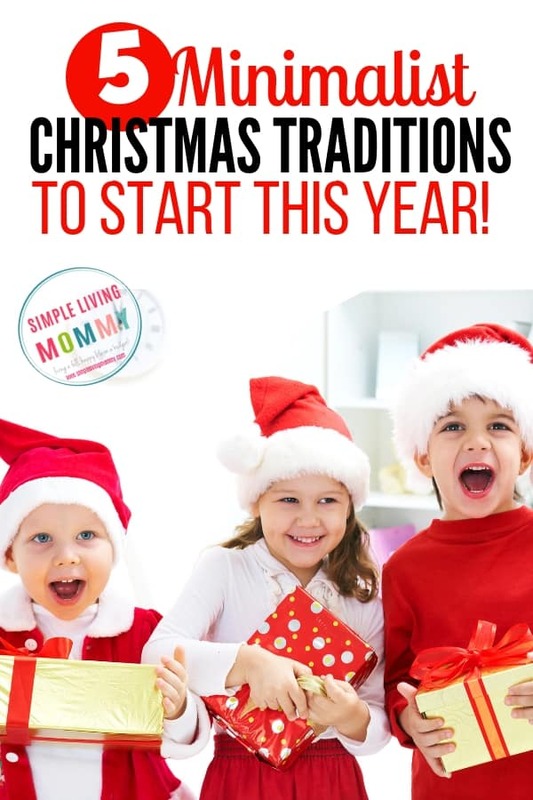 Maybe for your family traditions will center around baking cookies together as a family, making certain meals, maintaining a Christmas countdown calendar (we use and absolutely love this one! ), or doing festive arts and crafts. Going Christmas caroling is a great minimalist Christmas tradition that takes up absolutely no space in your home. It’s absolutely possible to have a simple Christmas without sacrificing that magical Christmas spirit that seems to just hang in the air. If you have young kids, take advantage of this time! You get to relive the excitement of Christmas all over again through the eyes of your own children. The key to having a simple Christmas is to set your intentions for the holiday long before they arrive. If family members will be shopping for your kids, prepare them ahead of time for gifts you’d be happy to receive. Better yet, request that they spend time with your family in lieu of gifts. Remember, memories are SO much more important than things. Give your friends and loved ones the gift of time together instead of expensive gifts. If you have one family member who has the gifts love language and just can’t contain themselves around the holidays – remember that you can’t control other people, you can only control your own reactions. You guys, if it’s one area I struggle with at Christmastime, it’s finding minimalist Christmas decorations. 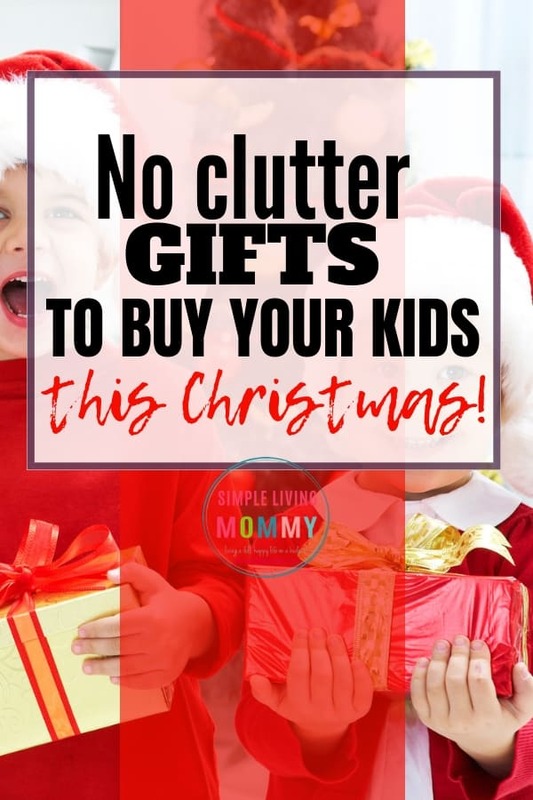 Well, I guess the real struggle is not buying my kids every single toy they ask for just to see their excitement on Christmas morning, but I digress. The secret that has helped me conquer mounds of Christmas decorations is to limit my Christmas décor storage space the rest of the year. Honestly, the only Christmas decorations I care to see in my home are Christmas trees. Here’s my anti-minimalist confession – we have a Christmas tree in every room of the house. Granted some of them are only 12 inches tall, but I want to be able to see Christmas trees from anywhere I stand in my house during this season! That means I don’t have space for tons of other decorations around the house. I have a ceramic tree decoration and a couple of cute candle holders. Other than shatterproof bulbs, that’s it. I don’t have totes and totes of Christmas decorations like lots of our friends do. If I only give myself a couple of totes to keep Christmas décor in, but I insist on having a ton of small Christmas trees, I need to minimize all other décor. This is actually a life saver AFTER Christmas when it’s time to put things away. No one can accuse me of not decorating for Christmas with a tree in every room, but the week after Christmas is painless. We can tear down and store all of our trees and ornaments in just a couple of hours. We leave our tree up until after the New Year, but are sure to take it down before January 6th. 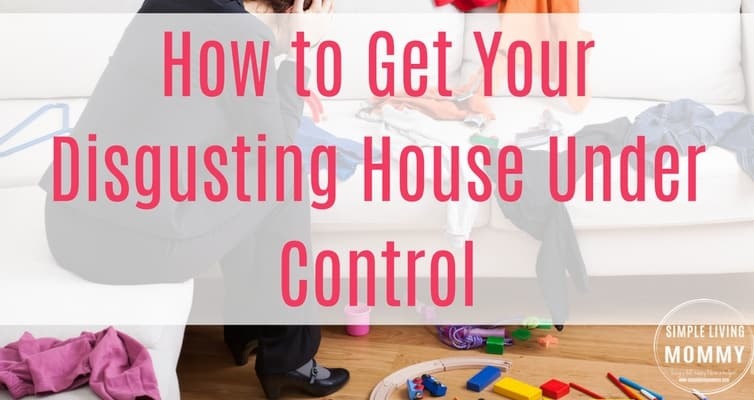 It’s our son’s birthday, so we want to make sure we come home from celebrating his birthday with a clean slate and ready to start the new year off on the right foot. 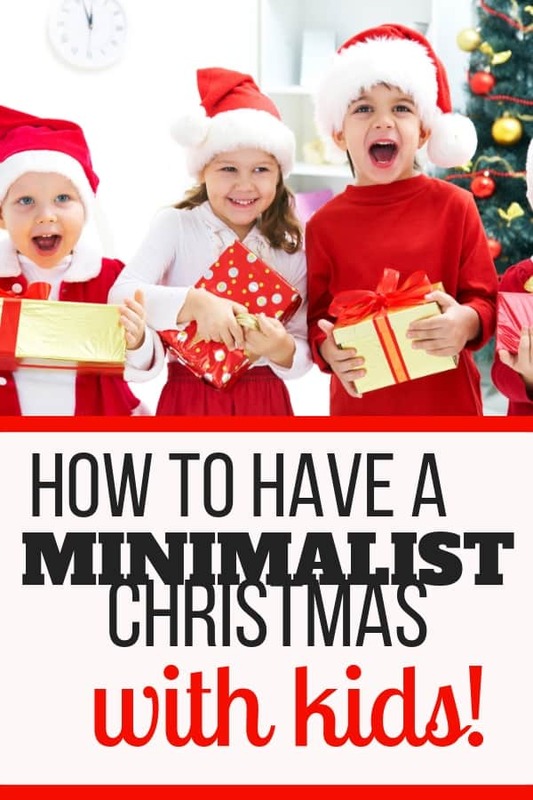 Are you trying to have a minimalist Christmas with kids? What are you doing to keep Christmas simple this year? Let me know in the comments!